Non-document based training items (ex: new hire training). Profiles - collections of training requirements. 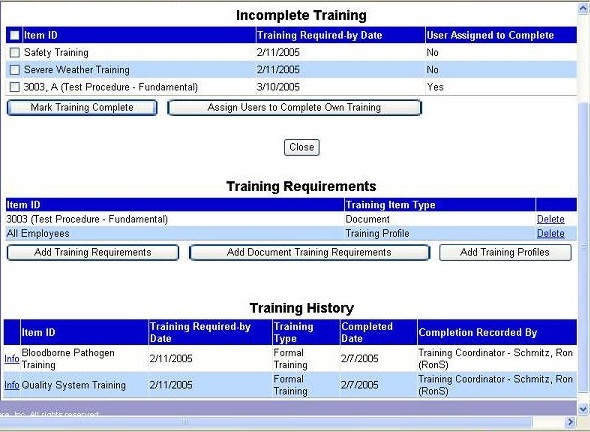 Create training requirements automatically for document revisions and deviations. Measure and track training effectiveness. Schedule refresher training at selected time intervals.